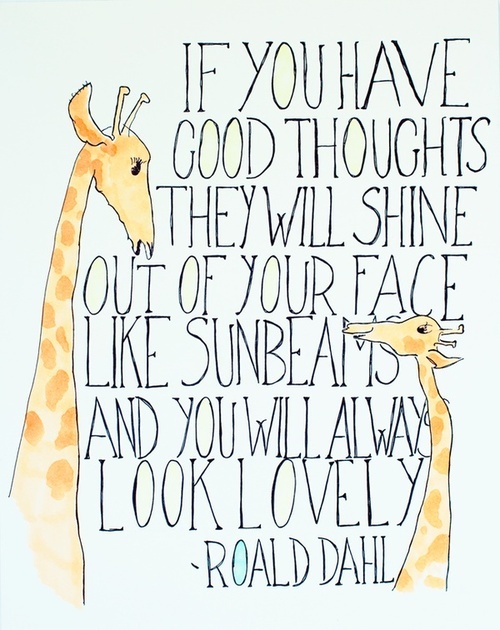 Because Mondays are hard and sometimes we need a little inspiration… Quick! Think of something that makes you happy! Now let that thought and feeling reverberate throughout your day and use it to stay positive. Categories: Uncategorized | Tags: Be Happy, Happy, Inspiration, Intention, Life, Lifestyle, Motivation, Motivation Monday, Positive Thoughts, Quote, Stay Positive | Permalink. 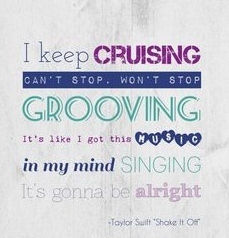 I-I-I shake it off, I shake it off. Shake off the negativity and whatever doesn’t serve you today. I shook the snow off my shoes this morning… Because it snowed last night… Dear Momma Nature, it’s fall, not winter. Get it together. Categories: Uncategorized | Tags: Happy, Inspiration, Life, Lifestyle, Motivation, Motivation Monday, qotd, Quote, Shake It Off, Snow, Taylor Swift | Permalink. 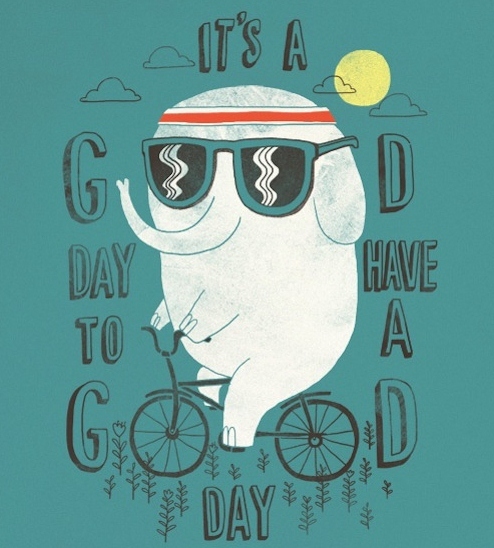 Make today a great day! Eat ice cream for dinner, watch a funny movie, take a walk through nature, catch up with an old friend, buy a new cozy sweater. Do something that makes you happy today! Categories: Uncategorized | Tags: Good Day, Happiness, Happy, Humor, Life, Lifestyle, Motivation, Motivation Monday, qotd, Quote | Permalink. Because Mondays are hard and sometimes we need a little inspiration. 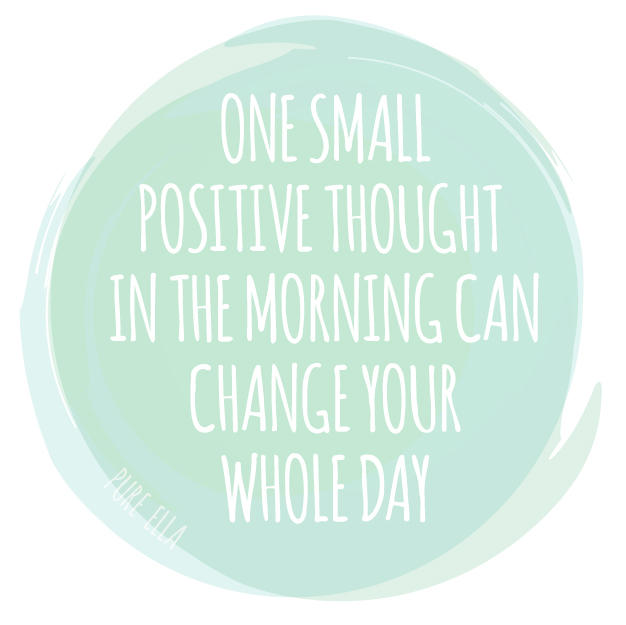 Keep your thoughts positive today and start off the week on the right foot! This has got to be the easiest beauty tip ever! Categories: Uncategorized | Tags: Beauty, Happiness, Happy, Inspiration, Life, Lifestyle, Positive, Quote, Roald Dahl, Sunbeams, Thoughts | Permalink. Today I’m switching things up a bit. Meet Karrie. She wrote my post today. We pulled a Parent Trap-esque move and switched places for this post. And you can head over to her blog to see the post I wrote. Becoming happier and healthier is a goal I have been trying to stick to lately, and one of the best ways I know to do this is by eating and drinking healthy. When I eat healthy, I feel happy because I know that what I put into my body is going to be good for it. How many times have you eaten fast food and instantly regretted it? I don’t know about you, but for me, it always seems like a great idea at the time because it tastes super yummy, but afterwards, I know I should have chosen a better option. 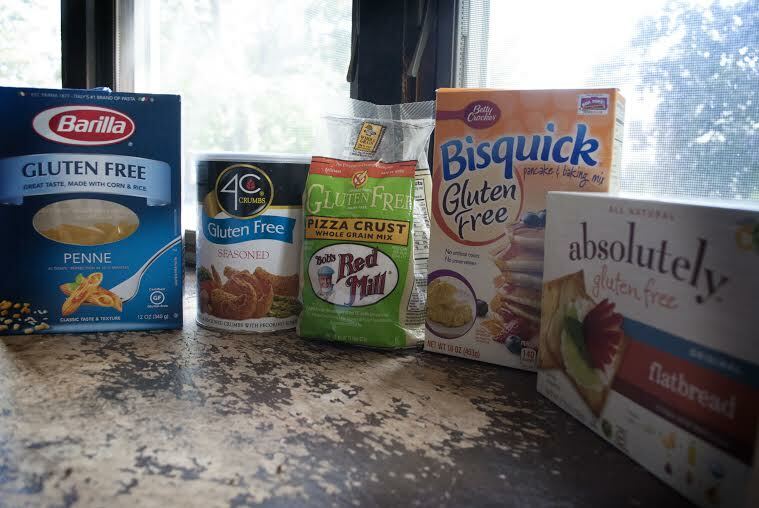 Now, I am also not saying I am the healthiest person out there by any means, because I do enjoy unhealthy snacks every now and then, but lately I have been trying to make smarter decisions regarding what I choose to put in my body. I am also not a doctor or a nutritionist. I am just telling you what works for me, and if it helps you out, then great! I love fruit, and although eating it plain can be delicious, I also like sprucing it up by adding in some extras. 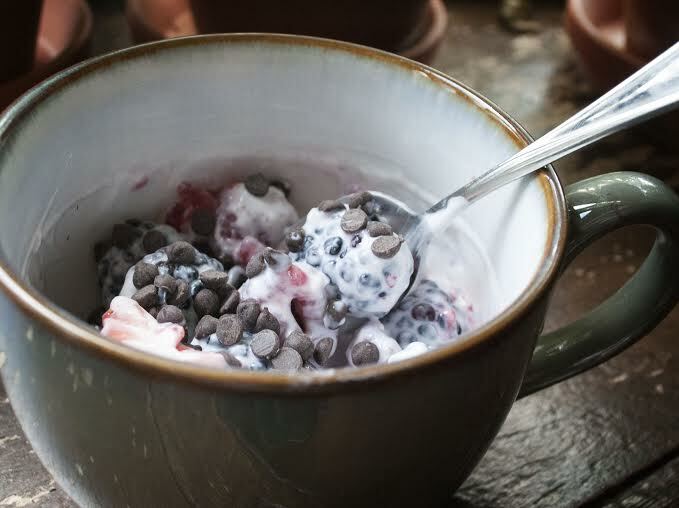 Sometimes I will get a bowl full of strawberries, blueberries, raspberries, and blackberries, or any other berries I have on hand, and put a little bit of Greek yogurt on top with some chocolate chips (just a few) and mix it all up. That little added chocolate makes it taste even better. I also like putting fruit in my cereal, for a little added flavor. I also like putting peanut butter and/or Nutella on bananas, and I also like making chocolate covered strawberries or frozen bananas. Yummm! Basically, I like adding just a little bit of something that’s not super healthy to something that is healthy, because I don’t want to crave just unhealthy foods. By doing this, I don’t just ignore the cravings completely, because eventually I will want to eat something unhealthy so bad that I gorge on that instead. This way, I enjoy eating something that is not so healthy in smaller portions and with something that is healthy. Earlier this year, we found out that my boyfriend was allergic to gluten. Gluten is a protein that is found in wheat, so basically anything that has wheat in it is a no go for him. Since wheat is found in many things, I was forced to read labels on anything that could possibly have gluten in it. I never really paid attention to such things before, because there was no need to, but it has made me much more aware of what is in certain products. Because of this, I think I have been straying away from the more unhealthy items and attracted to the more organic and less processed items. I’m definitely not saying you need to become gluten free to be able to do this. All you need to do is read labels and understand what it in certain products so that you can decide if it is something that you should be putting into your body. You’ve probably heard many professionals, including your doctor, tell you that you need to drink a lot of water. There’s always the debate about how much you should be drinking each day, and again, I’m not a doctor, but online the consensus is to drink eight 8-ounce glasses of water per day, also called the 8 x 8 rule. Sometimes it differs based on weight, exercise or other personal reasons, but that’s what is recommended. I have been trying to drink a lot more water in my daily life because I know it’s good for me (not to mention it’s supposed to be great for your skin as well). 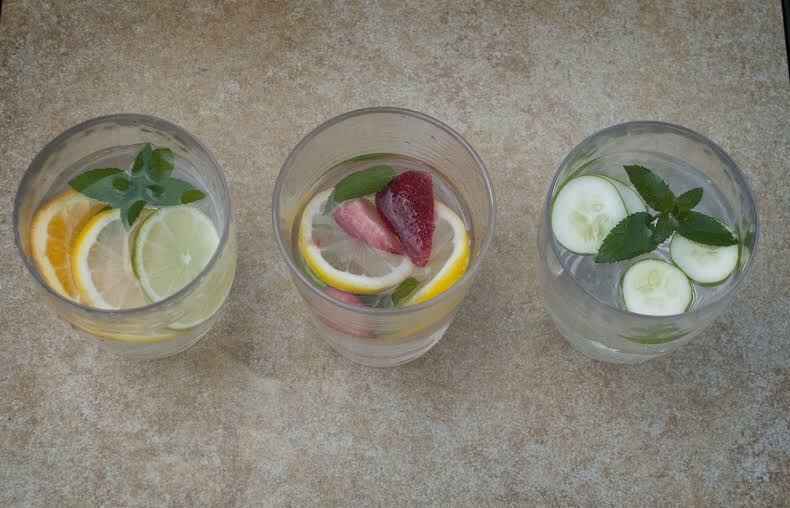 If you don’t like the taste of water, then here’s a little tip: put fruit in it! I have been doing this for about a year and a half now and I love it. When I go to the gym, I usually just drink plain water, but when I’m at work or at home I usually cut up some lemons, maybe some limes, strawberries, mint, oranges, cucumbers or whatever I think will taste good (but not all of them together) and I swear it makes me drink more water. Also, a cute water bottle is a must and makes a huge difference. Annie has actually blogged about this before, so check it out here. What I like about water bottles is that they usually say you how much they hold, for example the one I usually use is 20 oz., so I know that I have to drink 3 of them each day to get my daily intake. This rarely happens, but I like being able to keep track. Water is truly good for you. I always feel better when I stay hydrated throughout the day. Again, I am no expert nor am I super healthy, but when I do have healthy eating and drinking habits, I can tell because not only does my body feel better, but I am also usually in a good mood. And remember, if you make healthy choices, your body will thank you both now and later. Go forth and be healthy and happy! Categories: Uncategorized | Tags: Food, Guest Post, Happiness, Happy, Health, Lifestyle, Water, Yogurt | Permalink.